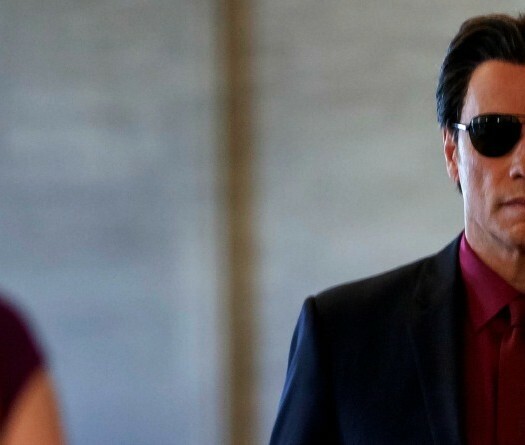 John Travolta. That Bee Gees soundtrack. It all adds up to a film that earned its place in pop culture lore. “Saturday Night Fever” is the ultimate ’70s movie, a time capsule gussied up as a feature film. Or so you might think if you haven’t watched John Badham’s movie in years. The fabulous new “Saturday Night Fever [Blu-ray] ” director’s cut isn’t burdened by the era in any meaningful way. Our hero is a young man loaded with testosterone and self-doubt, learning what it means to be a man. Who can’t relate to that, even if you don’t move a fraction as gracefully as star John Travolta? He’s blue collar to the marrow, burdened by a family that expects less from him than even his ne’er do well friends. 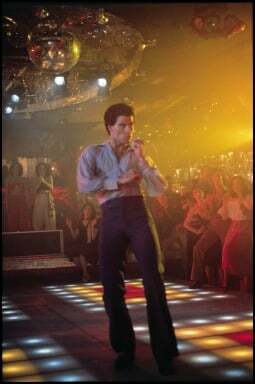 But boy, can Tony Manero dance. The Blu-ray is a revelation, and not just for its pristine presentation. That Bee Gees soundtrack is more lush than ever, an irresistible sound bed tweaked by modern technology. It’s no wonder disco ruled pop culture like it once did. The same can be said for John Travolta. 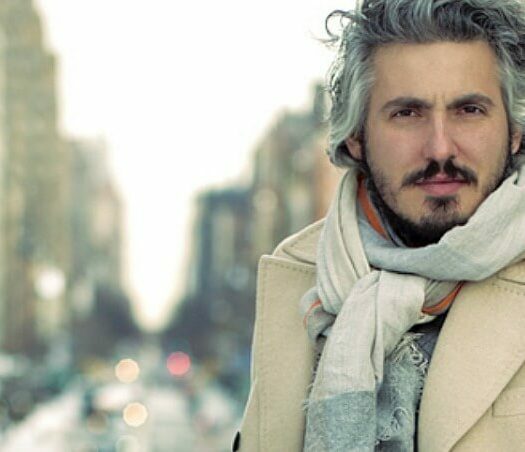 The actor, fresh from “Welcome Back, Kotter,” delivers an authentic performance for the ages. There’s pain behind Tony’s eyes, a hurt that only fades when he’s on the dance floor. He’s a charmer away from the club, but he’s no saint. Too many times he lives down to New Yawk stereotypes. He struts like a peacock, but he can be as ugly as Brooklyn’s Fourth Avenue at its worst. Tony Manero spends his days working at a paint shop so he can dance his weekends away. That’s more or less his life. He still lives at home and shows little interest in upward mobility. He cares much more about his hair, thank you. Tony is the king of the local disco. That means his coterie of thick-headed chums reveres him. So do the neighborhood girls, including a smitten Annette (Donna Pescow). She’s his favorite Welcome Mat, available for dancing, or stepping on, when the mood strikes. FAST FACT: The “Saturday Night Fever” soundtrack has sold more than 40 million copies. Rolling Stone magazine ranked it number 132 on its list of the 500 greatest albums of all time. Tony’s world view expands, if only by inches, when he meets the sophisticated Stephanie (Karen Lynn Gorney). She’s from his world, too, but she dreams of something better. Is that out of reach for Tony? Or can he wriggle free from his cultural handcuffs? “Saturday Night Fever” instantly engraved itself in pop culture lore. And for good reason. The fashions. The dancing. That music. Travolta at his youthful best. If you could recreate it in a lab Hollywood would do so again and again. Perfect storms don’t happen all the time, though. Badham doesn’t waste it, starting with a worm’s eye view of our cocky star. It’s rare to find an opening sequence that reveals more than the sight of Tony Manero walking through his Brooklyn neighborhood. You know everything important from that cocksure stroll. His false sense of courage. His horndog nature. The way he shapes his neighborhood, and how it does the same for him. To him. And the movie only gets better from there. The dance sequences are so good you’ll hit rewind as soon as they’re over. Badham’s camera captures it all perfectly. He blends traditional wide shots with a more personal, hand-held approach. We are there, and we can practically feel the sweat from the dance floor. It’s intoxicating. Still. HEADS UP: The film is being re-released in more than 700 theaters nationwide on May 7 and 10 by Fathom Events. Want to find a flaw? A third act tragedy feels melodramatic, an impression that hasn’t dulled over time. Modern viewers may be shocked by the profanity on display. Tony’s pals pass around casual slurs for blacks and Hispanics. It doesn’t reflect well on Tony or his posse, even considering those less enlightened times. Given the era and the culture in question it’s hard to argue with its inclusion. The new Blu-ray features a Director’s Cut and the original theatrical release. This review reflects the former. The home video also features Badham’s commentary on the theatrical version along with several featurettes. The five-part “Catching the Fever” series breaks down everything from the film’s legacy (via a 2007 retrospective) to those platform shoes. “It was pretty much everywhere,” Pescow correctly recalls of the movie. “Very tough, very Italian, very gritty,” another cast member shares. There’s even a dance lesson imported from a previous home video release. FAST FACT: Film critic Gene Siskel bought John Travolta’s signature white suit and black shirt in 1979 for $2,000 – beating out Jane Fonda. A descriptive New York Magazine article dubbed “Tribal Rites of the New Saturday Night” inspired the movie. Ironically, that story turned out to be a very early case of Fake News. The filmmakers reveal that the movie’s sexism and racism wouldn’t pass muster today. Screenwriter Norman Wexler (“Serpico”) held firm. The results speak for themselves. Then and now.